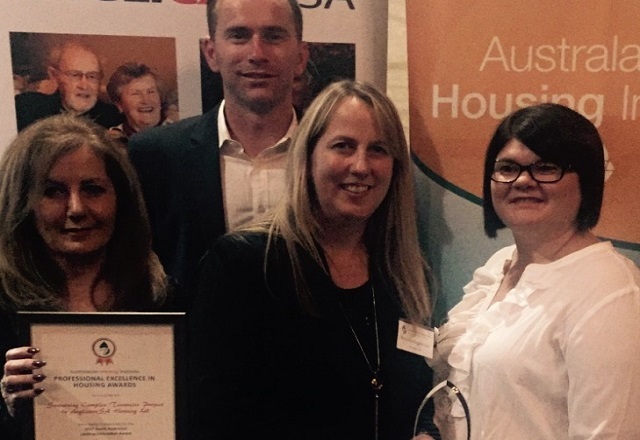 AnglicareSA’s Bowden Rent-To-Buy Scheme has won the Australian Housing Institute’s Leading Housing Development award. The award was presented at the Australian Housing Institute’s Professional Excellence in Housing Awards reception on Tuesday night. The Bowden Rent-to-Buy Scheme, which is a partnership between AnglicareSA Housing (ASHA) and Oryx Property, provides a unique opportunity for people on low incomes to break out of the rental cycle and own their own home. The innovative model provides 10 tenants with the option to purchase a high quality, two-bedroom apartment in a desirable inner urban community in 2021 at 2014 prices. In the meantime, they pay a reduced rent to assist in saving to pay the property purchase deposit. During that five-year period, ASAH pays all building outgoing costs including body corporate fees, management, maintenance, council and SA Water base rates. Tenants are supported by ASAH’s comprehensive 24/7 tenancy management services and the wide range of assistance available through AnglicareSA. There was considerable interest in the initial offer (772 website visits, 44 registrations of interest) and the successful applicants (7 singles, 3 families) moved into their new apartments in mid-2016. At the awards, we also received a Highly Commended in the Leading Innovation category: Sustaining Complex Tenancies. 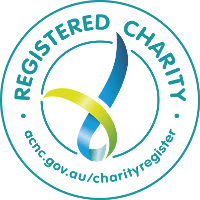 The recognition in this category was based on AnglicareSA Housing’s willingness to go beyond the legal tenancy framework in supporting tenants to maintain their tenancy and provide them with access to a range of other AnglicareSA services. AnglicareSA Housing’s highly trained tenancy officers ensure their tenants understand their rights and obligations clearly, assist them to organise Centrelink rent assistance and to pay their rent through the Centrepay facility or by direct credit from their bank account. Our tenancy officers also discuss with tenants any difficulties they may be experiencing and work with them to successfully manage these. Well done to the AnglicareSA Housing team and congratulations to all of the award winners on the night.